LD:NorthEast are proud to deliver the successful Tomorrows Project, which provides a range of light touch support to help people who are growing older and have a learning disability, or difficulty, living in North Tyneside. 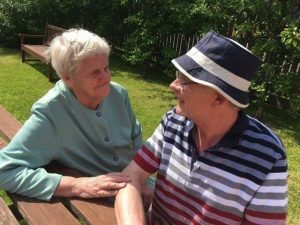 The project is funded by The Big Lottery’s ‘Reaching Communities’ fund, with an overall purpose to support people to maintain their independence, health, well-being and safety. 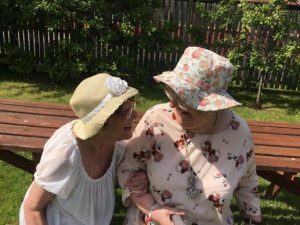 With a user-led, personalised approach, our dedicated staff and team of volunteers offer support to people to improve levels of confidence, self-esteem and skills. Through the project, people are gaining a better understanding of how to improve their own health and well-being, develop their social networks and take part in a range of leisure and learning activities. Referrals can be made to Tomorrows in various ways, whether that be directly by the person, a health or social care professional, by a friend or neighbour, or by a carer or family member. A member of the team will then make contact to arrange an initial visit, to meet and complete an Initial Assessment in order to best determine the appropriate support.